In true Bilip (bad Philip) style, I’ve just returned from a lot of travel in a short space of time, 50+ airport visits in two months, so naturally there’s lots to catch up on. And I’ve just spent two hours reviewing fantasy football lineups for NFL and EPL leagues I play in. Both seasons are relatively speaking, at a similar premature stage and newbies have either got the hang of it or are utterly lost. 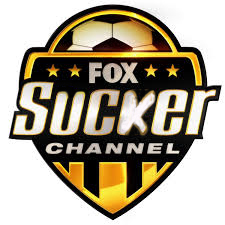 NFL fantasy obsessives have countless complex sites and tv shows that provide guidance, but the EPL has relatively few. Perhaps because EPL fantasy fans have more rich and fulfilling lives… or are too lazy/ambivalent to care. To help out two close friends of mine, new to fantasy EPL (Great midwest boys weekend StEvil B and the Pocket Dog!) I threw a few links and pieces of advice together. Make of it what you will. 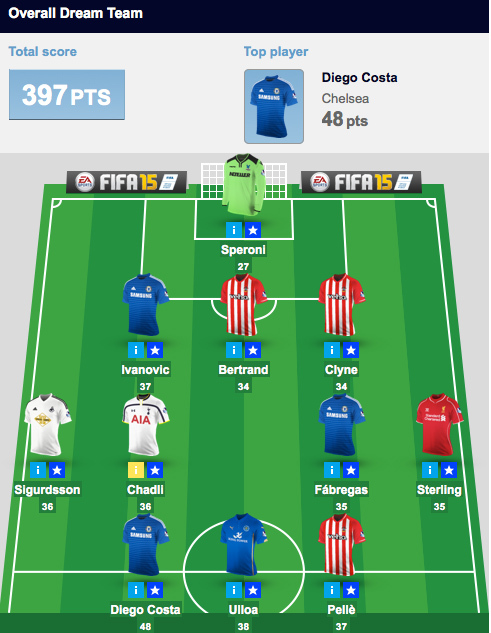 I’ve never won a fantasy EPL league and I’m a Saints fan. As goals are relatively difficult to predict, its good to consider the predictable moments e.g. set pieces (free kicks within shooting distance and of course penalty kicks) Last year Lambert earned me heaps of points because he didn’t miss any of his penalty chances and scored lots of freekicks. The aging legend is on Liverpool’s bench now, and Gerrard (while I don’t rate him much as a player; sometimes controls a game, he overhits 85% of his passes a fundamental skill for a midfield player & perpetually looks perplexed) he does take the penalty and free-kick chances for Liverpool. 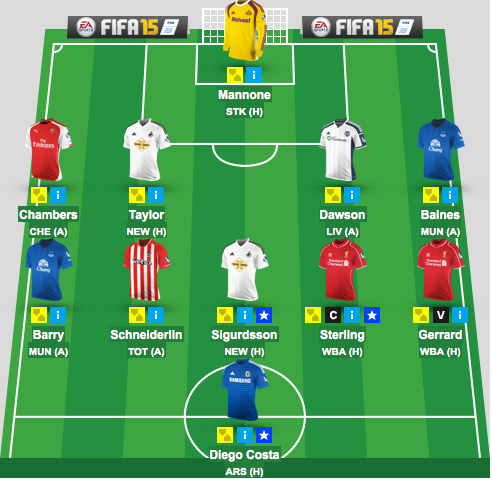 Each week there is a deadline to set your line-up, chose your captain and make transfers. (generally a majority of teams will play on a Saturday morning). Your lineup is set and contains a number of Man City players. Pelliegrini likes to rest players randomly, and as a result two of your players don’t play any part in the game. Not to worry, because those players not taking part are automatically substituted out and replaced with those on your bench in the order you have placed them. Make sure you leave your weakest player in the number 3 spot. Weakest is defined by ability to score points, not simply because he looks as skinny and weird as Peter Crouch. Unlike Sam Allardyce’s rigid 4-4-2. You don’t have to play the 4 – 4 – 2 shape the form gives you each week. 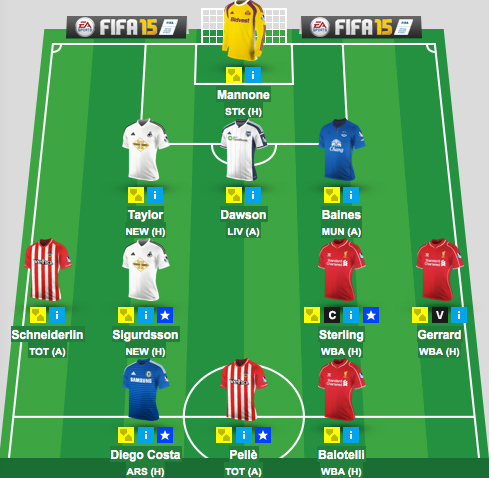 If you’ve built your team around Costa, RVP and Aguero, play with three up front each week. If goalscorers have the potential to earn more points by scoring goals why wouldn’t you play three up front if that’s who score the most goals? Because anyone can score goals, just ask Begovic. Play around until you see a shape you like. Remember midfield players receive two points for a no goals conceded, and forwards are most often substituted reducing their chance at 1 extra point for playing 90 mins. Balotelli, Van Persie and Dzeko or Ulloa, Berahino and Weimann? The former have 56 pts costing a combined 30.8 m pounds versus the non-glamor players have 98 pts at a current price of 17 m pounds. Track the form and fitness of players, ease of fixtures and potential suspensions.